The Age of Enlightenment of the 18th century, also called the Age of Reason, was so named for an intellectual movement that shook the foundations of Western civilization. 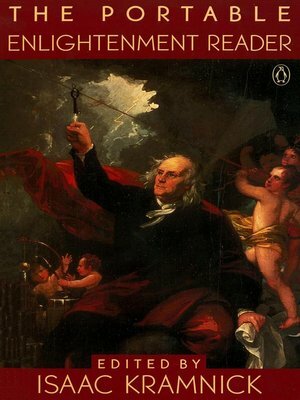 In championing radical ideas such as individual liberty and an empirical appraisal of the universe through rational inquiry and natural experience, Enlightenment philosophers in Europe and America planted the seeds for modern liberalism, cultural humanism, science and technology, and laissez-faire Capitalism This volume brings together works from this era, with more than 100 selections from a range of sources. It includes examples by Kant, Diderot, Voltaire, Newton, Rousseau, Locke, Franklin, Jefferson, Madison, and Paine that demonstrate the pervasive impact of Enlightenment views on philosophy and epistemology as well as on political, social, and economic institutions.